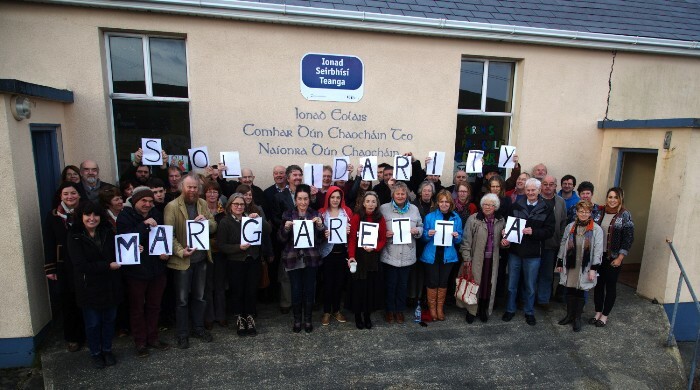 The third episode in the “Airing Erris” series was held yesterday in Ceathrú Thaidhg in Erris, County Mayo. 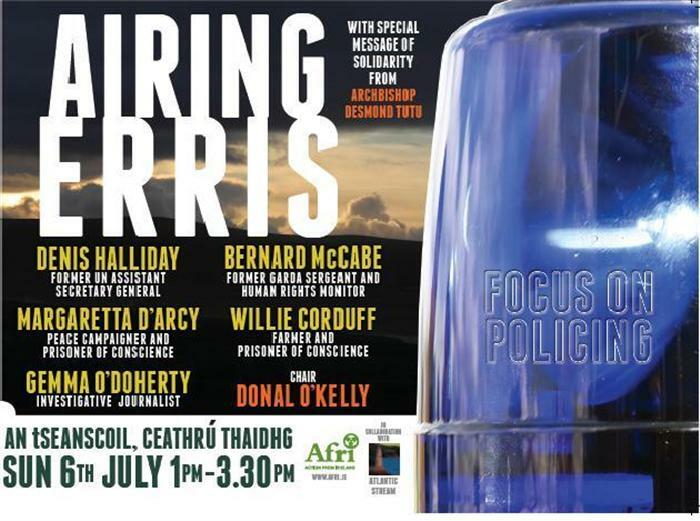 This episode focussed on policing and included contributions from former UN assistant Secretary-General Denis Halliday, Goldman Environmental prize winner Willie Corduff, former Garda and Human Rights Monitor Bernard McCabe, peace activist Margaretta D’Arcy and investigative journalist Gemma O’Doherty. 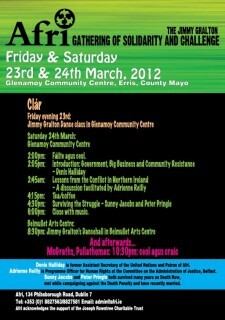 Garda Whistleblower John Wilson, also attended, and spoke about his experiences of Garda corruption. The event was livestreamed by Atlantic Livestream and can be watched again here. 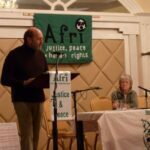 An Afri statement, supported by Desmond Tutu, Denis Halliday, Ed Vulliamy and others, calling for an urgent and comprehensive enquiry into the policing of the Corrib Gas project has been rejected by Minister Shatter. Despite what Archbishop Tutu described as the “many disturbing incidences” highlighted in the statement and growing concern in relation to Garda activity in general, Minister Shatter has claimed that a public enquiry is unnecessary. 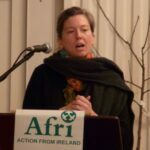 In light of ongoing controversies concerning lack of accountability of the Gardaí, and serious shortcomings on the part of the Garda Síochána Ombudsman Commission (GSOC), Afri, supported by the undersigned, wishes to draw renewed attention to serious concerns around the policing of the Corrib Gas Project. Local residents have exhausted all available means of redress – including reports to GSOC, the Minster for Justice and the Garda Commissioner – without receiving satisfactory responses. Therefore, we now call for an independent and comprehensive enquiry into all aspects of the policing of the Corrib Gas Project to seek redress and accountability in relation to abuses which are, sadly, ongoing. These concerns include, for example, the verbal and physical abuse of Willie Corduff by Gardaí as he took part in a peaceful protest in Glengad on April 22nd and 23rd 2009.This was followed by an attack by a group of men in dark clothes with their faces covered. During this attack Mr. Corduff was struck on the head by a blunt leather-covered object and then beaten until he lost consciousness. Mr. Corduff was removed to hospital and suffered serious pain and distress for many weeks afterwards. This attack occurred while Gardaí were in close proximity and no satisfactory investigation into the attack has ever taken place. Signs of hope and causes for optimism are still to be found amid the bleak picture often presented on the daily news. Despite the realities of war, climate change and hunger, we can find hope and inspiration in those who continue to resist, to struggle, to challenge, and even to celebrate. “We are the last frontier in a Europe that is looking for GM free food” Clare Keane. A film about the dangers of allowing Teagasc to field test GM potatoes in Ireland. With contributions from Afri chairperson Andy Storey, Clare Keane, and former Assistant Secretary-General of the UN, Denis Halliday. The justice and human rights group Action from Ireland (Afri) held a protest action at the Department of the Environment on Easter Monday to express its opposition to the proposed introduction of genetically modified (GM) potatoes into Ireland. 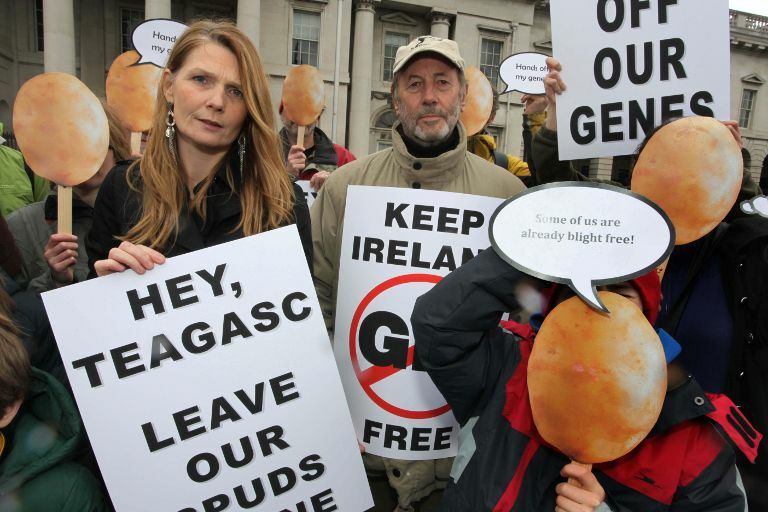 Protesters wearing potato masks, and carrying a banner with the slogan “hands off our genes”, called on the Environmental Protection Agency to reject Teagasc’s recent application to introduce GM potatoes to County Carlow. 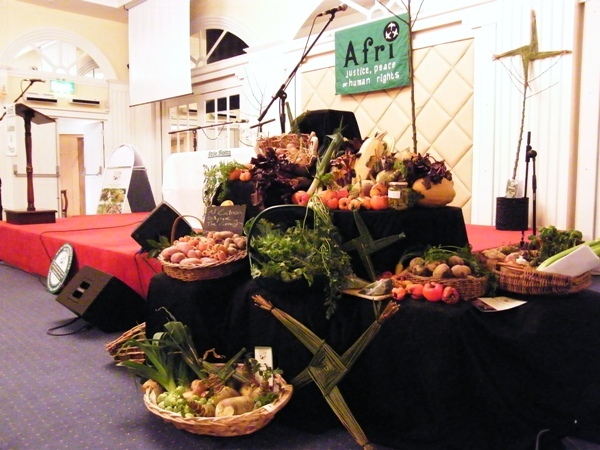 The Afri Hedge School 2010 was organised in partnership with Kimmage Development Studies Centre (KDSC) and took place on Saturday, 23 October in Kimmage DSC in Dublin. 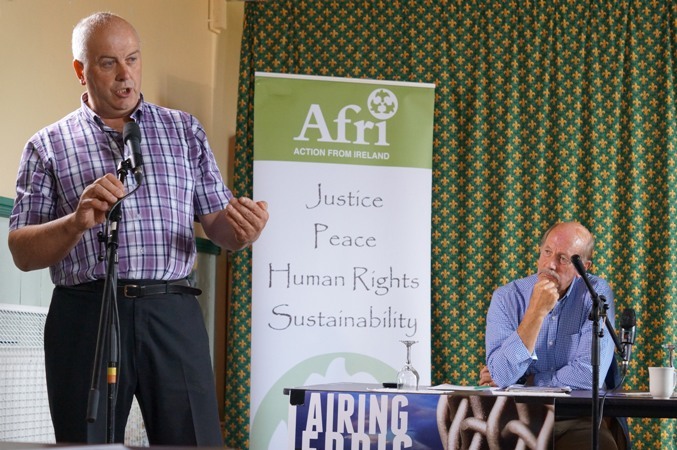 Human rights organisation Afri is calling for a suspension of all work on the Corrib gas project in Erris, County Mayo, pending an independent and comprehensive investigation of its safety, human rights, economic and environmental dimensions. 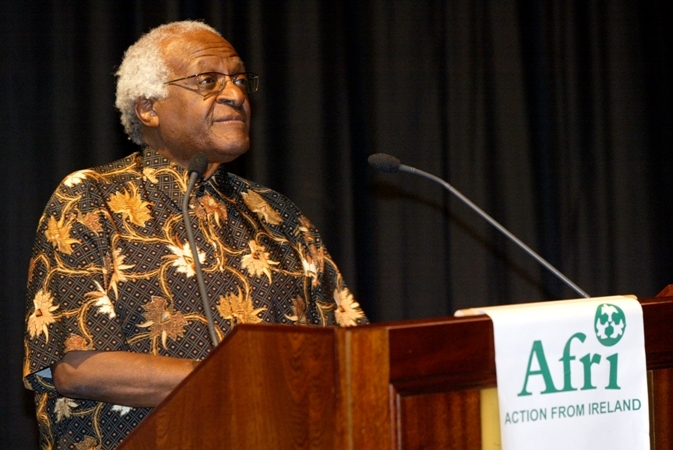 Afri is asking people to sign a petition to that effect, which will be delivered to the government next month. The petition will be launched by former UN assistant secretary-general Denis Halliday in Buswells Hotel at 11.30 on Monday January 18th. 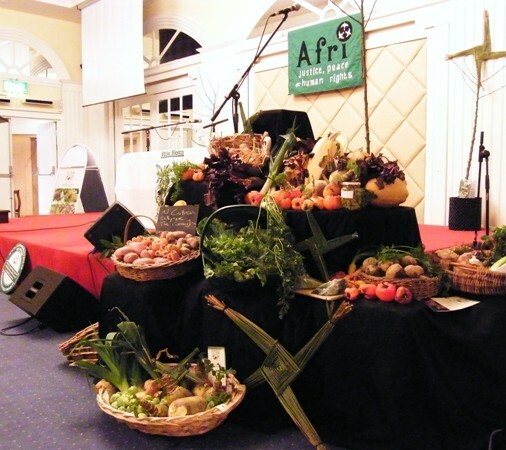 Despite the snow and frost, over a hundred people made their way to the Derby House Hotel in Kildare for Afri’s annual Féile Bríde Conference on February 8th. The theme ‘seeds of hope…seeds of change’ was reflected in the snowdrops peeping through the snow, as we gathered for the annual festival of words, music, dance and cooking! Frida Berrigan and Denis Halliday looked at our addiction to war and the cost to humanity and the planet while Chef Richard Corrigan and members of Irish Seed Savers Association together showed how to preserve our natural seed heritage, grow our own food and cook it in the most mouth watering way imaginable!